The Industrial Age combined with American ingenuity to form special units during the Civil War. Horse artillery, sharpshooters, sappers, and miners were used for specialized duties during the war. The Civil War came at a crossroads moment in world history. New weapons made possible by industrialization were putting paid to old techniques of warfare that had endured since the Napoleonic Era. This made the war more difficult for men trained in classical methods but also forced innovation as those more mentally flexible found effective ways to use the new inventions. At the same time, elite units made their mark on the battlefield; some were new creations while others continued existing traditions. Such units were used to accomplish duties beyond that of a regular unit. The American military had seen elite units in the past, particularly Rogers’ Rangers during the French and Indian War. The Civil War’s elite outfits would build upon that proud tradition. Artillery was one of the centerpieces of Civil War armies. Cannons supplied the firepower to break up enemy formations, batter down fortifications, and instill fear in opponents who lacked it. The disadvantage to artillery was its relative lack of mobility. Most guns had to be drawn by teams of horses using large carriages while the gun crews often walked alongside their pieces, exposed to enemy sniper fire. Over time advances in metallurgy allowed lighter yet still powerful guns that were easier to move. Such mobile cannons could be quickly dispatched to critical points on the battlefield, where their firepower might make the difference between victory and defeat. The first versions of horse artillery, also called flying artillery in reference to their speed, came about during the Thirty Years’ War in King Gustavus Adolphus’s Swedish Army. Subsequent European armies created their own versions in the 18th and 19th centuries, which flourished during the Napoleonic Wars in particular. The young United States Army noted these developments and began working on horse artillery during the War of 1812, although early efforts were stifled. Finally, the horse artillery began to come into its own during the Mexican-American War, where it proved a great advantage in almost every major battle. 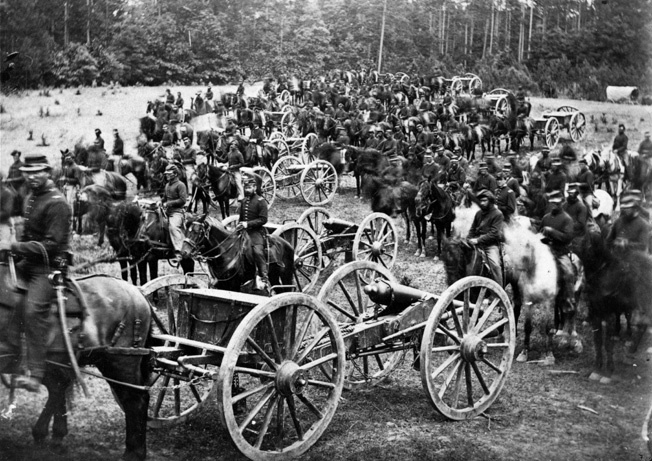 When the Civil War began, the Union Army found itself in possession of a much larger artillery park than the Confederacy, including over 160 field pieces that could be used in horse artillery formations. The Rebels, in contrast, initially possessed only 35 such cannons. The North also retained the majority of trained artillery soldiers. Although many artillery officers resigned to serve the South, they would use mostly untrained militia and recruits to man their guns, requiring time to build their skills. This meant the preponderance of horse artillery units were in the Union forces. The Army of the Potomac formed an entire brigade of horse artillery in 1861. This unit drew five batteries from both the 2nd and 3rd U.S. Artillery Regiments. It fought in the Peninsula Campaign in 1862 and quickly proved a model of effectiveness and accuracy. By the time of Gettysburg in mid-1863, the Union horse artillery had grown to two brigades with a total of 12 batteries of U.S. Artillery and a battery each from Pennsylvania, New York, and Michigan. These units fought in most of the Army of the Potomac’s major battles until war’s end. On several occasions their speed and accurate fire helped turn the tide. 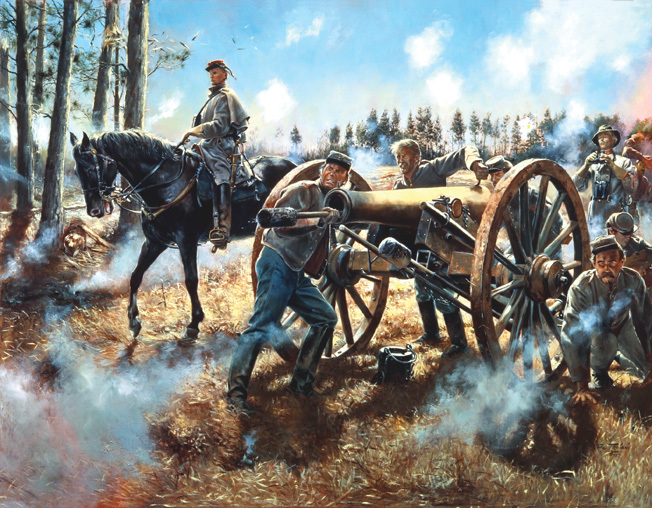 The Union’s fast, mobile artillery batteries performed their duty with distinction, but the most famous of the horse artillery batteries would serve in the Confederate Army. Roger Chew was only 18 when the war began, but the energetic youth wasted no time. He raised a battery of horse artillery with all its officers drawn from the body of cadets at the Virginia Military Academy. It is believed that Chew’s battery was the first Confederate horse artillery to see action against the North during the war. His men saw more action than any other artillery battery in Southern service, although not always as an independent unit. In 1862 the battery was absorbed into a battalion-sized unit led by the Confederacy’s other famous horse artillery commander, Major John Pelham. The young Pelham, a 22-year-old cadet at West Point when the war began, was from Alabama and left the Academy a few weeks before graduating to return to his home state. There he was given a commission as an artillery lieutenant before being sent to Virginia with his battery. At the Battle of First Manassas, he proved himself calm under fire and notably directed his guns against a Union attack at Henry House Hill, which proved critical in driving back the enemy. Both General Joseph E. Johnston and Colonel J.E.B. Stuart noted how well the young Pelham performed in that battle. He was promoted to the rank of captain, and Johnston recommended that Pelham’s battery be assigned as horse artillery to Stuart’s cavalry. 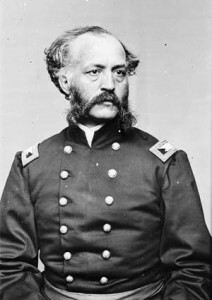 John Pelham, in command of his horse artillery, delayed advancing Federal troops at Fredericksburg, Virginia in 1862. Pelham’s daring would lead to his death at the Battle of Kelly’s Ford exactly six months later. Painting by Don Troiani. During the winter of 1861-1862, Pelham conducted an intensive training regimen, drilling his artillerymen to high standards. This meant not only firing practice, but also repeated drills on moving, placing, and tearing down their guns quickly. This prepared the battery to respond rapidly to changing battlefield conditions. Pelham’s battery was a large one, with 150 men serving eight guns, six of them either 6- or 12-pounder howitzers. These guns, in turn, were hauled by 130 horses. By the spring of 1862, the unit was ready to go into action. During the Peninsula Campaign, Johnston’s army began retreating from the Williamsburg area. The Confederate rear guard was near Williamsburg when the attacking Federal troops caught up to it. Three guns of Pelham’s battery set up in the enemy’s path; for the next three hours they poured fire into the Union ranks, firing some 360 rounds, a rate of 40 rounds per hour per gun. Due in large part to their efforts, the Confederate forces were able to withdraw successfully. The battery’s next feat occurred during the Seven Days Battles in June and July 1862. Stuart’s cavalry was sent on a mission to interdict the Union supply lines. On June 29, Confederate scouts found the Union gunboat USS Marblehead anchored in the Pamunkey River, landing a small force of infantry. Stuart directed Pelham to attack the ship with his guns. The eager Pelham set up a howitzer on a piece of high ground overlooking the ship and pelted the vessel with a lethal rain of shells. Once the Union ship gathered enough steam, her captain recalled the infantry and began to withdraw down the river. Pelham gave chase, his gun crew limbering their weapon and moving downriver until they again had the range and resumed bombardment until Marblehead had fully retreated. Pelham’s courage and the way his gunners handled their cannons drew great praise from Stuart, who recommended the young officer for another promotion, even though such advancement would mean Pelham’s reassignment to another unit. After his promotion to major, Pelham combined his former battery with those of Chew and Captain James Hart into a Horse Artillery Battalion. The new unit fought with distinction over the next few months. Its most famous action occurred at the Battle of Fredericksburg on December 13, 1862. There, Pelham deployed two of his guns a full half-mile ahead of Lt. Gen. Stonewall Jackson’s troops. At 9 am, they gazed through the lifting fog to find themselves on the flank of Union Maj. Gen. William Franklin’s grand division. The gunners opened fire, smoke and flame pouring from the muzzles of their cannons. Shots tore into the shocked Union troops, who thought at least two batteries of guns were ranging on them. Abandoning their original advance, the Union soldiers turned to attack the deadly new threat. Five artillery batteries and another brigade of infantry were thrown forward to support the Union assault. The attacking troops received a hot welcome from Pelham’s guns, which he continually moved to best engage the latest threat. Soon, however, one of his cannons was put out of action, prompting Stuart to order him to withdraw his remaining gun. Upon receiving this order, Pelham replied, “Tell the general I can hold my ground.” The single gun kept up a high rate of fire, further hindering the enemy troops from advancing. When Stuart again ordered him to retreat, Pelham disregarded the instruction and kept firing. Only when a third withdrawal order arrived did Pelham comply. It was 11 am, and his sole gun was out of ammunition anyway. The Horse Artillery Battalion served for the rest of the war, but without its brave young commander. On March 17, 1863, Pelham joined in a cavalry charge against Union troops at Kelly’s Ford on the Rappahannock River. Advancing with the 3rd Virginia Cavalry, he was hit in the neck and killed by artillery fire. After his death, a story circulated that three young women went into mourning for him simultaneously. Roger Chew took command of the battalion, leading it until the war ended. Elite units were also formed around lighter armaments. Accurate, long-range rifle fire had been an American tradition since the Colonial period. Prior to the Civil War, muzzleloading rifles had much better accuracy than the standard muskets but took longer to load and required more training to use effectively. They were considered specialty weapons usually carried by individuals or small units. Advances in technology prior to the conflict introduced the Minie bullet, wrongly called a “ball,” into wide use, which allowed rapid reloading while retaining accuracy. Effective fire could now be placed upon an enemy at ranges greater than ever before. Marksmanship became a universally desired trait. In addition, new and practical breechloading and repeating rifle designs were becoming available for mass production. Both sides were quick to realize the implications and utility of expert marksmen. Each raised units of sharpshooters during the war. Many were company-size formations attached to regular infantry regiments, but a number of regimental-size groups were also formed, taking advantage of the large number of Americans now well practiced in the use of firearms. By far the best known of these units was Berdan’s Sharpshooters, named for its founder, Hiram Berdan. The New York-born Berdan was a wealthy entrepreneur with a number of inventions to his name, including a repeating rifle and a new musket ball design. He was also an expert shot. During the summer 1861, Berdan petitioned the Army to create an independent sharpshooter regiment. The idea was accepted, with Berdan himself assigned to command the unit. He was given 90 days to raise the unit to full strength. The subsequent recruiting drive was carried out across the North and challenged potential inductees to demonstrate their skills. Anyone who wished to join the regiment had to put 10 shots into a bull’s eye at a distance of 200 yards. The distance of each shot from the target’s center was then measured, and the average could not be more than five inches. Candidates would use their own rifles and if accepted would receive $60 for their weapons. The turnout was so high that Berdan not only raised his full regiment within the 90-day limit but also attracted enough recruits to man a second regiment. By the end of September, both regiments were in Washington, D.C., undergoing extensive training. They practiced at distances of up to 600 yards and were also drilled as skirmishers. Citizens often turned out to watch the riflemen sharpen their skills. The units were designated the 1st and 2nd Regiments, United States Sharpshooters. A few men kept their civilian rifles, but this created difficulties in supplying adequate ammunition in varying calibers. Berdan also had problems acquiring Sharps rifles for his men—the full order of 2,000 weapons was not delivered until May 1862. 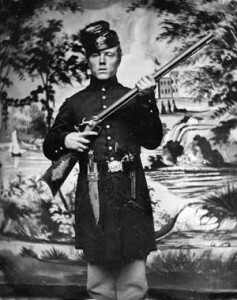 In the interim, Colt revolving rifles were issued. The troops had distinctive uniforms as well, dark green coats with blue pants (the pants were later changed to green). Their cap badges contained the letters “U.S.S.S.” within a wreath. Once the sharpshooters went into action they quickly proved their usefulness and skill. During the Battle of Yorktown in April and May 1862, they used their long-range accuracy against Confederate artillery positions. A handful of men shot down the entire crew of one enemy cannon, knocking it out of action. Each time a Southern soldier ran out to get the gun back into action, he was struck by a sharpshooter’s fire. In another instance, a Confederate gun was surrounded by sandbags. Rounds were fired into the sandbags near the bore of the weapon, causing the sand to pour into it. When the crew tried to fire the weapon, it burst, wounding several of the gunners. 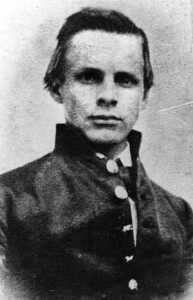 One of the riflemen, Private Truman Head, nicknamed “California Joe,” was present at Yorktown and gained a reputation for hitting enemy gunners and horsemen. It is believed he bought his own Sharps rifle before the unit was issued them. His skill with a rifle was widely reported in the press at the time. Ironically, failing eyesight led to his discharge later in 1862. Berdan’s Sharpshooters went on to fight in most of the battles in the eastern theater of the war, including Gettysburg and the siege of Petersburg. Their accurate fire took its toll of Confederate troops, but over time the two regiments paid a fearful toll of their own. By February 1865, when both units were discharged from service, they had lost over half their original numbers in dead and wounded. The willingness of these men to act so boldly in action and their frequent assignment as skirmishers placed them in harm’s way time and again. It was a high price to pay for the lasting fame that Berdan’s Sharpshooters won during the war. While Berdan made his name and units famous in the East, another civilian-turned-soldier named John Ward Birge raised his own regiment of rifle experts in Saint Louis. Birge was an optometrist in peacetime, but like Berdan quickly donned a uniform after the war’s outbreak. The commander of the Union Department of the West, Maj. Gen. John C. Fremont, wanted to raise his own sharpshooter unit and authorized Birge to do so. To be eligible to join, a recruit had to hit a target at 200 yards, with no more than three shots to be more than 10 inches apart. Most of the men came from Missouri, Ohio, and Illinois. Like Berdan, Birge wanted a distinctive uniform for his men but had to settle for a standard uniform with a sugar loaf hat—a sort of tall, wide-brimmed hat common to the era. By mid-1862 the hat was replaced. 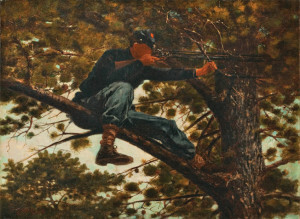 Famed Northern artist Winslow Homer painted this color study of a Union sharpshooter perched precariously atop a tree limb. The sniper’s rifle appears to sport a civilian hunting sight, which saw limited use in the war. Under the name Birge’s Western Sharpshooters, the regiment went into action in December 1861 against Confederate irregular troops in Missouri, later performing scouting duty. After this they were attached to Maj. Gen. Ulysses S. Grant’s command and took part in the Fort Donelson campaign. During the campaign they kept an enemy artillery battery out of action for three full days. At Shiloh in April 1862, they occupied one of the most hotly contested parts of the line, known as the Hornet’s Nest. After the battle the unit was renamed the 14th Missouri Infantry; a few months later it was renamed once more as the 66th Illinois Infantry. Despite the new numerical designations, the regiment was still known as the Western Sharpshooters. After spending most of 1863 in anti-guerrilla operations, it became part of Maj. Gen. William T. Sherman’s army during the Atlanta campaign. During this time many troops spent their own money to purchase Henry repeating rifles, at $40 a major purchase at the time. During the March to the Sea, they captured a Confederate artillery battery and defeated a 1,000-strong force of Georgia militia that was dug in behind breastworks. At war’s end they marched in the Grand Review in Washington D.C.
A jaunty and well-armed member of the 2nd U.S. Sharpshooters flourishes a target rifle, Bowie knife, and Colt 1849 pocket revolver. The Confederacy was slow to form its own sharpshooter regiments even though it often had sharpshooter companies within existing infantry units. It took until April 1863 before sharpshooter regiments were authorized. Even then they were formed by taking suitable men from units already on active service. Since men were loath to leave their home regiments and commanders were unwilling to lose their best shots, Southern sharpshooter units were a mix of regular troops and a few picked men. Most Sharpshooter units still performed well. Other specialized troops included sappers and miners. These specially formed engineer troops were used to dig trenches, artillery positions, and tunnels. The trenches and artillery positions were designed to provide cover to soldiers and guns as they moved slowly closer to the enemy defenses. Eventually they got close enough for the guns to knock down the enemy’s defensive works. Tunnels were used to undermine enemy defenses, often to destroy them by packing the tunnels with explosives. Such efforts were not new to warfare; by the time of the Civil War the art of trench and tunnel-building was advanced and standardized, with a body of existing knowledge for the soldiers to draw upon. Such knowledge was available to both sides as many of the officers had attended West Point, long known for its engineering curriculum. Since the Confederate armies were generally on the defensive when it came to sieges, the vast majority of such work was done by Union troops against Southern cities and forts. The title of “sapper” came from the term sap, defined as a trench dug while under fire from an enemy. Usually they were dug in a zigzag manner to provide cover while approaching an enemy fortification. Soldiers trained in such operations were called Sappers, a title still used by U.S. Army engineers to this day. 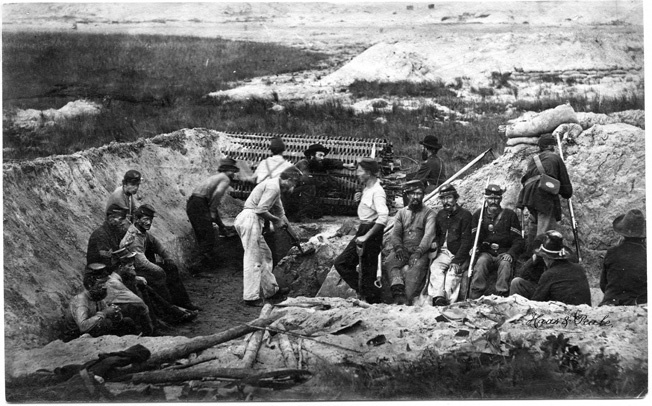 Union sappers at work on Morris Island, South Carolina, in 1863. The sap, a large basket containing logs, was used to protect the diggers and was rolled forward as a trench advanced. Armed infantrymen cover the workers as they dig. When the war began the Union Army had but a single battalion of engineers. Several states raised their own engineer units, but the African American soldiers of the United States Colored Troops (USCT) would eventually raise the most, five full regiments. These troops would prove instrumental in the seizure of a number of Confederate positions over the course of the war. Often they were joined by numbers of infantrymen attached to them to help perform the almost constant digging engineer operations required. Such work was called fatigue duty to denote it did not involve martial skills or the use of weapons. Soldiers on fatigue duty were due extra pay in varying amounts depending on whether it was skilled or unskilled labor. The often methodical routine of engineer work can be seen during the Siege of Vicksburg, Mississippi in 1863. Maj. Gen. Ulysses S. Grant had tried twice to take the city by direct assault but failed in each attempt. He decided he would have to lay siege to the town, which had an extensive system of defenses around it. One of the positions in this system was called the Great Redoubt, also known as the Third Louisiana Redan. A redan is a V-shaped section of fortification with the point of the V toward the enemy. Two Union engineer units were called in: the 1st Missouri Engineers, who were widely referred to as the Engineer Regiment of the West, and Patterson’s Independent Company of Engineers and Mechanics, originally from Kentucky. It was decided the redan would be attacked by digging a sap toward it. Several others would be attacked the same way. A group of 300 men was divided into a pair of fatigue details of 150 each. They began their work on May 23. The first would begin the sap at night, using the darkness as cover from enemy observation. The men were spaced out at five-foot intervals with picks and shovels and began digging. By daybreak they would connect their section of trench with that of the men to their sides, providing enough depth to protect the next shift from enemy fire. They would work through the day, making the new sap deep enough for troops to move through. Each night the process would continue, moving the trench closer to the redoubt. Meanwhile, soldiers with coal-mining experience were gathered from across the Union force. The sturdily built entrance to the Union mine at Petersburg was the work of former civilian coal miners. By June 23, they reached the ditch that went around the redan. Now the miners went to work. A special detail of 36 men began digging a shaft under the Great Redoubt. Like the sap detail, this group was divided in half. 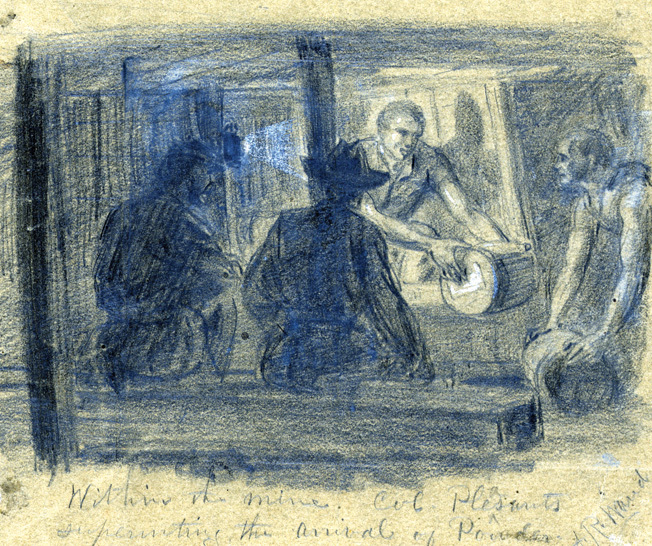 The first 18 men also worked at night with a group of six men working for an hour each. The first pair would use picks to dig out the tunnel while the second two would shovel the displaced soil into sacks; the remaining duo would carry the sacks out to the ditch. The next shift would repeat this pattern. The men worked efficiently and within two days had dug a tunnel 45 feet under the redan with two minor shafts 15 feet deep set at 45-degree angles from the main one. The shaft was five feet high and four feet wide. This space was large enough to pack 2,200 pounds of gunpowder directly beneath the redoubt. After setting the fuses a large amount of earth was packed back into the tunnel to help concentrate the blast. The fuses were lit on the afternoon of June 25, the explosion sending an enormous cascade of earth into the air. These pieces rained back down in a fine cloud, bringing the remains of tents, gun carriages, and men with them. Union forces attacked, but the Confederates managed to regroup and repelled the attackers. Undaunted, the Union engineers created a new shaft and repeated the process on July 1. The fort was effectively destroyed, but still the Rebel troops held the breach closed. This time the Northern troops prepared for another attack, even widening the original sap so the assaulting units could march in columns of four. Before this final effort became necessary, however, the Confederate commander, Lt. Gen. John Pemberton, surrendered Vicksburg, in part because of the continued threat of the saps and mines. The most famous use of sappers and miners came at the siege of Petersburg, Virginia, in the summer of 1864, but this time it was an infantry unit rather than dedicated engineers. The 48th Pennsylvania Infantry was composed mainly of men who worked as miners in civilian life. The unit’s commander, Lt. Col. Henry Pleasants, said his men could dig a mine under the Confederate defenses at a point known as Elliot’s Salient. Though some of his superiors doubted it would work, they nevertheless approved the plan. 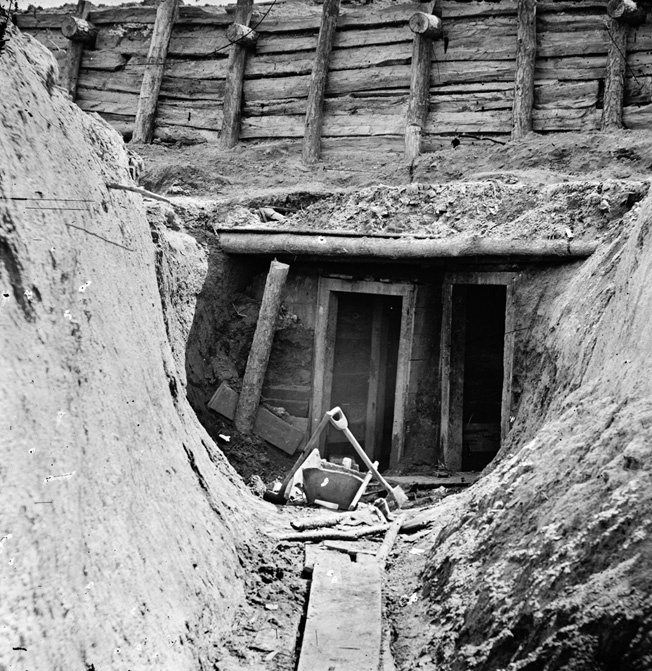 The regiment began digging on its own on June 25. They improvised tools by creating makeshift wheelbarrows from cracker boxes, straightened their issued picks to make them more like a miner’s version, and used lumber from an abandoned sawmill and a disassembled bridge to shore up the shaft. The Pennsylvania men dug for 511 feet until they were directly under the salient, 20 feet below it. There they dug another shaft 75 feet long perpendicular to the main one. It was packed with 320 kegs containing 8,000 pounds of explosives before 38 feet of the shaft was also filled back in with soil. An attack was set up for the morning of July 30, but it was bungled when the Colored Troops specially trained for the assault were replaced by a white division that was unfamiliar with the mission or how to navigate the terrain after the explosion. The charges were detonated at 4:44 in the morning. Once again cannons and men flew skyward amid clouds of earth. A huge hole, the Crater, 170 feet long, 30 feet deep, and 100 feet wide, was torn through the Confederate position. Lieutenant Colonel Henry Pleasants of the 48th Pennsylvania personally supervises the placement of gunpowder in the mine below the Confederate works at Petersburg, Virginia. The attacking Union division was briefly stunned by the explosion, delaying its advance. When it finally did move up, the white soldiers charged into the Crater rather than maneuver around it as the African American division was trained to do. Once again the Southern forces rallied quickly; the white soldiers came under heavy fire in the Crater, causing them to seek cover rather than continue the assault. As more Confederate units rushed to the area, they took up firing positions and delivered a punishing fire into the Union ranks, inflicting almost 4,000 casualties and sending them back in defeat. Pleasants’ regiment had delivered exactly what he had promised, but the poor followup resulted in a lost chance for victory at the Battle of the Crater. While sappers and miners carried out their tasks with skill and precision, following up on their success generally proved difficult. It was also hard to completely conceal their activities, which meant the besieged Southern forces could predict where a sap might be used to create a shaft under their defenses. Beyond some unsuccessful countermining attempts, however, there was little done to stop Union engineering efforts. The staples of Civil War-era armies were infantry, artillery, and cavalry. This triad of combat arms would remain so for decades after the war. Yet even during the 1860s, the Union and Confederate armies were showing the world a hint of things to come. Horse artillery would eventually be supplanted by mobile field guns and infantry mortars, providing the same sort of responsive fire support. Specialized units of sharpshooters would give way to highly trained snipers operating alone or in small groups as rifle technology improved. Combat engineers would continue the sapper tradition. Today it is common for U.S. Army combat units to have engineer detachments attached to them. Americans have always valued those who stand out from the crowd though their own ability and determination. This was no different during the Civil War, when elite combat units gave the rest of the army something to aspire toward and civilians back home someone to look up to as an example. They helped forge a tradition of military excellence that continues to this day. 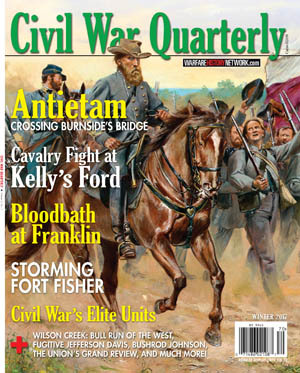 Tags Army of the Potomac, Battle of Fredericksburg, Battle of the Crater, battle of yorktown, Civil War Quarterly, Confederacy, First Manassas, Fort Donelson, Fredericksburg, general joseph e johnston, Gettysburg, Gustavus Adolphus, J.E.B. Stuart, John Pelham, March to the Sea, Mexican-American war, napoleonic war, Napoleonic Wars, Peninsula Campaign, Rappahannock River, Rogers Rangers, Seven Days Battle, Siege of Petersburg, Stonewall Jackson, Thirty Years' War, Ulysses S. Grant, Union Army, United States Army, United States Colored Troops, USS Marblehead, Vicksburg, William T. Sherman.